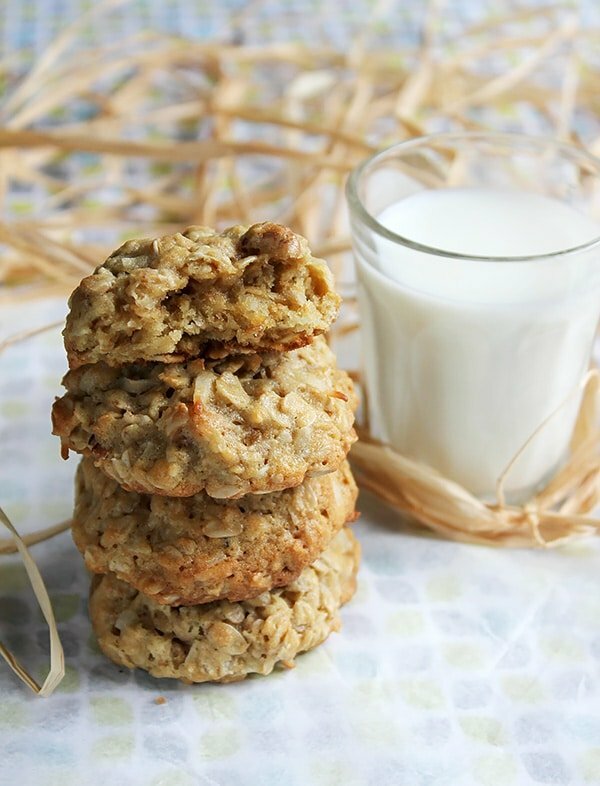 Hello 2016, and I welcome you with a cookie, a Chewy Pecan Coconut Oatmeal cookie that is! People usually make a list of resolutions for the New Year, but I decided to work on my old ones and this time, deal with them for good. One of my resolutions was to blog on regular basis, improve my food photography, and do something different. Now keeping (different in mind.) I’ve decided to share a chewy, yummy, buttery, and delightful treat. Working with pecan coconut oatmeal dough was more of a relief than fun. 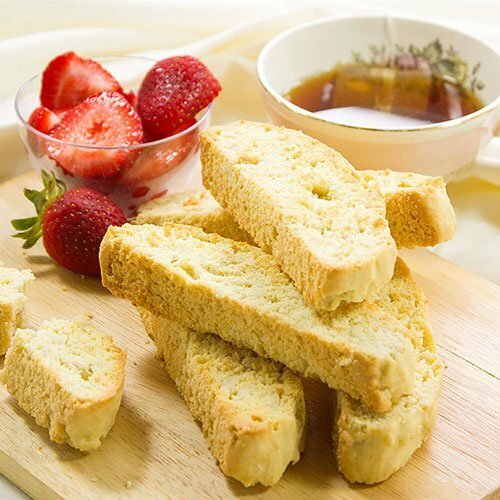 There is no creaming the butter with sugar, and no sifting of flour. If you have kids, they will feel joyful helping with this recipe, in fact why not just let them make it without your help, it is so simple, and they can do it. (However, you have to handle the oven part)! This dough needs to rest in the fridge for at least 30 minutes. You have added many delicious ingredients in it, and those ingredients need to know each other. When the 30 minutes are up, and the oven is preheated, scoop the dough in the baking tray, 10 minutes and they are done, but not yet ready. Cool them completely, find a peaceful place and enjoy every bite. Oh, by the way! I’ve decided to read more in 2016 and I think you should do too. How about munching on my Pecan Coconut Cookies while reading a book? Today I’m recommending Maureen A.Miller, USA Today’s bestselling author. Read more about the Author and her books by clicking the banner below. One last thing though. Kindly follow me on Instagram and if you happen to make any of my recipes please take a picture of it, and post it on Instagram, mention me in your post or use this hash tag #munatycooking, I would love to see your creation. 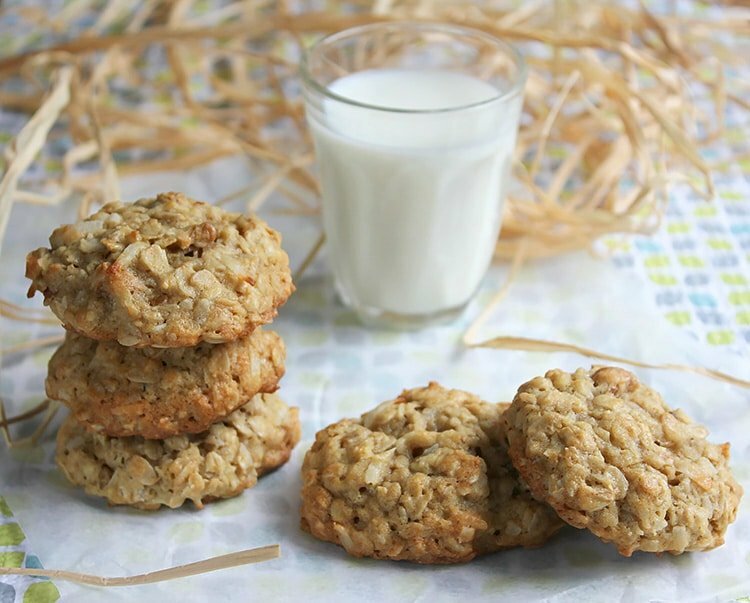 These Chewy Pecan Coconut Oatmeal cookies, are buttery and delicious. One bite and you'll find yourself asking for more. 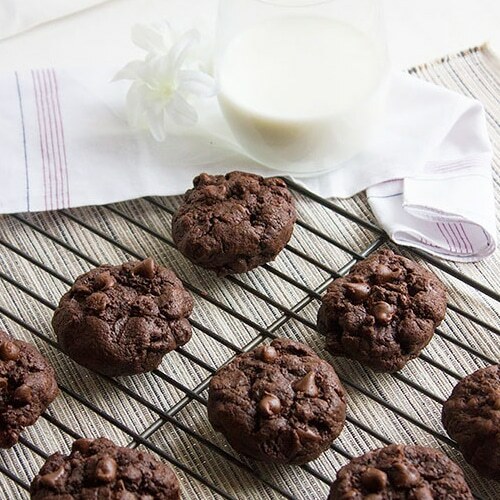 The dough comes together in no time, so why not run to the kitchen and make some! In a bowl, whisk flour, baking soda, and salt. Keep aside. In another bowl, add melted butter, brown sugar, white sugar, vanilla, and egg, whisk well. Add wet ingredients to flour and mix gently. Add Pecan, rolled oats, coconut, and fold gently. Cover and refrigerate for 30 minutes. Take around one heaped tablespoon from the dough, roll it in your hand to form a ball, place it on baking sheet/tray (I used nonstick baking sheet.) Press gently and bake in a preheated oven of 180C/350F for 10 minutes. Leave in the tray for one minute, and then transfer to cooling rack to cool completely. I love how thick and chewy they look! 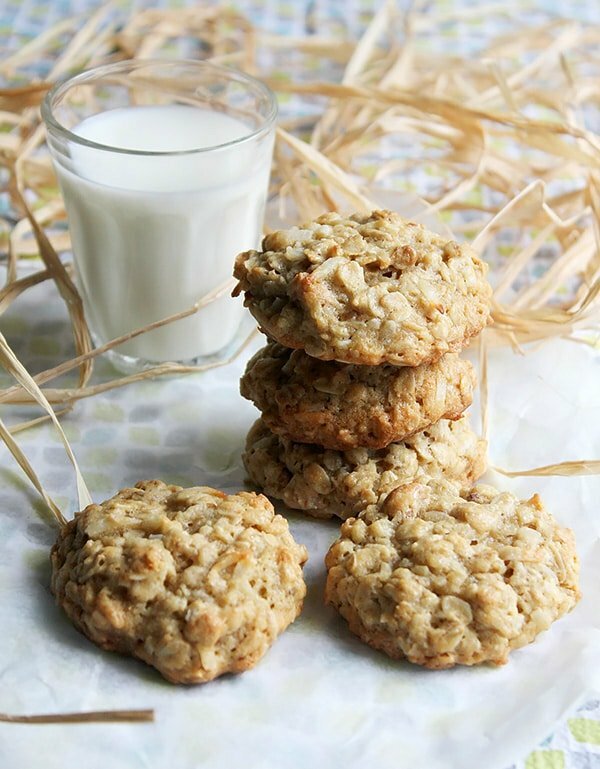 These look scrumptious, I love the combination of coconut, pecans and oatmeal. I also love cookies that are super easy like these sound. It is an amazing combination Chris, I’m glad you liked it! Mmmm, these cookies look amazing! 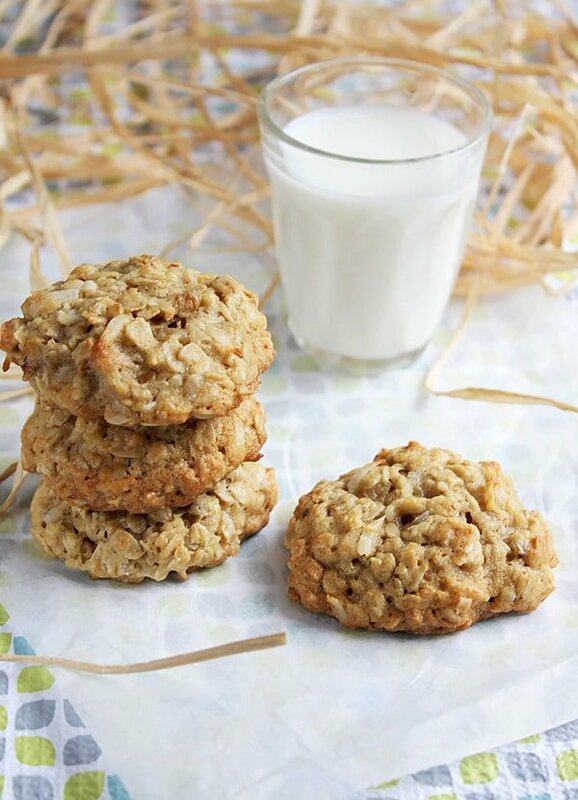 I love oatmeal cookies, weird thing to say, I know 🙂 Thanks for sharing!